I'm really liking these ramshackle buildings can you do a few houses like that? Keen observers will note that theres been some additions we already have. Bakery. Windmill. Water Tank. Etc. The reason is, we've wanted visually better versions or more variety. More variety is always a good thing. Is it at all possible to get the storage, to be 'protein only' &/or 'fruit & veg'. I'm finding that either my Hunters dominated the local storage which means my gatherers lose theirs, or the other way around. 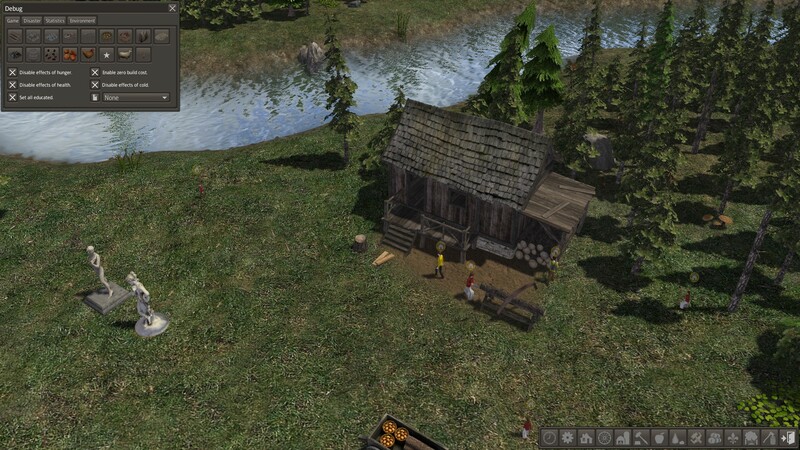 If I then build added storage in the area I then find other "stuff" in there, my Bannites seem to carry odd things, and drop it like lint everywhere in barns, far far away, from where the item was originally. (I found candles in my storage unit on the other side of the map from the trader!!). Also, a small footprint, like Red's tiny & small medieval storage, they fit right in with the outposts. You can see below how i've used Necora's Edibles storage as it's smaller than the Granary in the Medieval set, and smaller than the Meat Locker. The storage lean to will have the different types. I like that new white and stone theme you are creating. A dry goods storage in that style would be good. That grey building looks good too, whatever it is. That's a good point about a dry goods storage. I've had fun texturing the stone at the bottom, using our typical stone texture but making it appear aged. 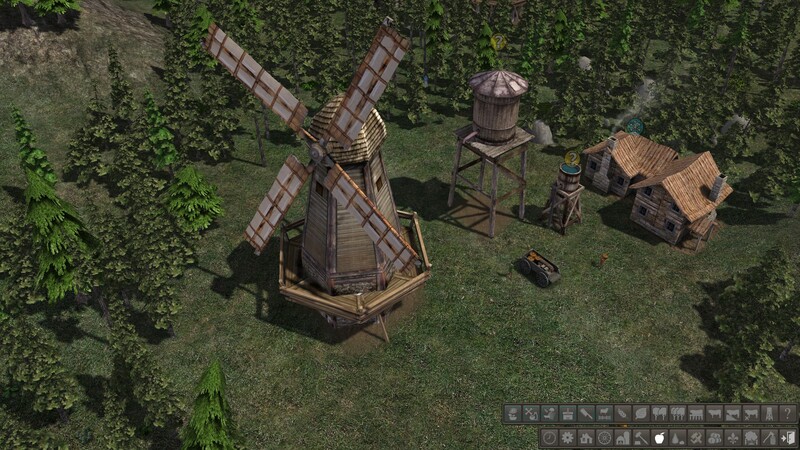 Speaking of the edibles market, can you take that model and make another version that stocks tools and clothing and fuel, and maybe also materials? Then the two of them could be used as separate halves of a larger market area that stocks everything that houses need. No need to change colours or textures, the point is for them to look the same (or at least very similar).